Any presentation can be more successful with a display board to back it up. 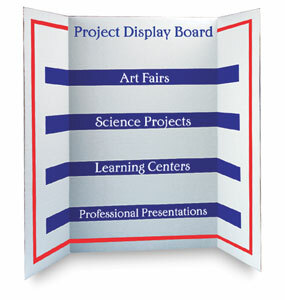 This Project Display Board is great for science projects, learning centers, art fairs and professional presentations. It is made of lightweight, but heavy-duty corrugated cardboard, with a smooth white working surface. It folds shut for transporting, and is also self-standing. 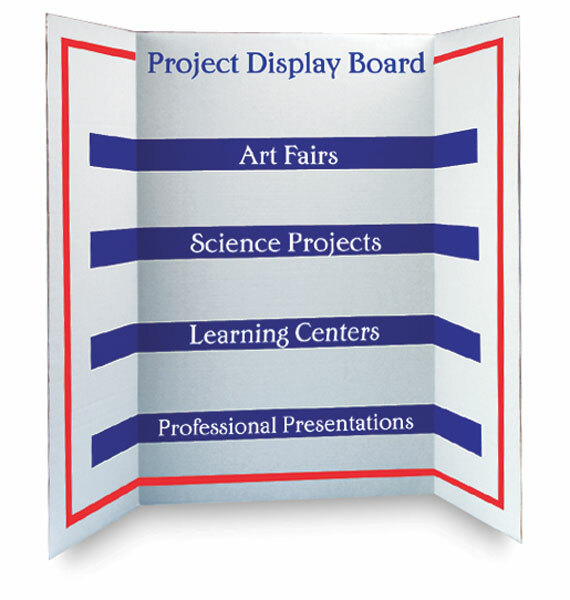 The Project Display Board is paintable and reusable. ® Spotlight is a registered trademark.